If you own a device powered by a Clover Trail Atom processor then you’re never going to be able to upgrade beyond the Windows 10 Anniversary Update. This is because Microsoft has deemed these Intel processors incapable of running the Windows 10 Creators Update 9 New Settings Features in the Windows 10 Fall Creators Update 9 New Settings Features in the Windows 10 Fall Creators Update Does the Settings app seem to change every time you use it? We'll show you the most important features you may have missed since the last Windows 10 update! Read More . And that’s final. It used to be that you could essentially run any operating system on an old computer. It would just run really slowly. Now, with the coming of Windows 10, Microsoft is placing restrictions on what old hardware can run its operating system. And Atom processors are first in the firing line. Microsoft started rolling the Creators Update out to the proles (non-Windows Insiders Be the First to Test New Windows 10 Builds as Windows Insider Be the First to Test New Windows 10 Builds as Windows Insider Windows Insiders are the first to test new Windows 10 builds. They are also the first to suffer from bugs. Here we show you how to join or leave the program and how to share... Read More ) recently. And while most people updated without a hitch, people with devices powered by Intel Clover Trail Atom processors discovered that their PCs weren’t supported. Despite being just a few years old. 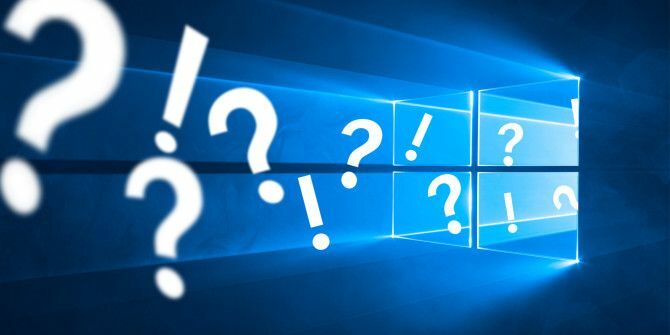 It turns out that Microsoft has decided that because Intel no longer offers support or driver updates for these devices Microsoft considers them incapable of coping with the Windows 10 Creators Update. Which means these devices will forever be stuck with the Windows 10 Anniversary Update released in 2016. The good news is that Microsoft isn’t leaving these users high and dry without any support. Instead, the company is extending support until 2023 for anyone who owns a Clover Trail Atom PC. Anniversary Update support is meant to end in 2018, but as these devices originally shipped with Windows 8 or 8.1 they’ll have support extended accordingly. Which is a nice gesture. Does Microsoft Deserve the Blame or Some Credit? From the lack of communication to the downloading of 3GB of unnecessary files this is a bit of a mess. However, Microsoft should get some credit Stop Bashing Microsoft: 5 Ways In Which They're Awesome Stop Bashing Microsoft: 5 Ways In Which They're Awesome Microsoft doesn't always get fair treatment. When it comes down to it, they're a pretty awesome company. There's been enough Microsoft bashing, now it's time for some love. Read More for extending support for the Windows 10 Anniversary Update to resolve this issue quickly. Still, owners of the affected devices are justifiably annoyed at getting stuck with an old version of Windows 10 through no fault of their own. Explore more about: Intel, Microsoft, Windows, Windows 10.